Apologies for apparently abandoning the blog. For a couple of reasons, I am not updating as frequently as I have in the past. That may (or may not) change in 2018. 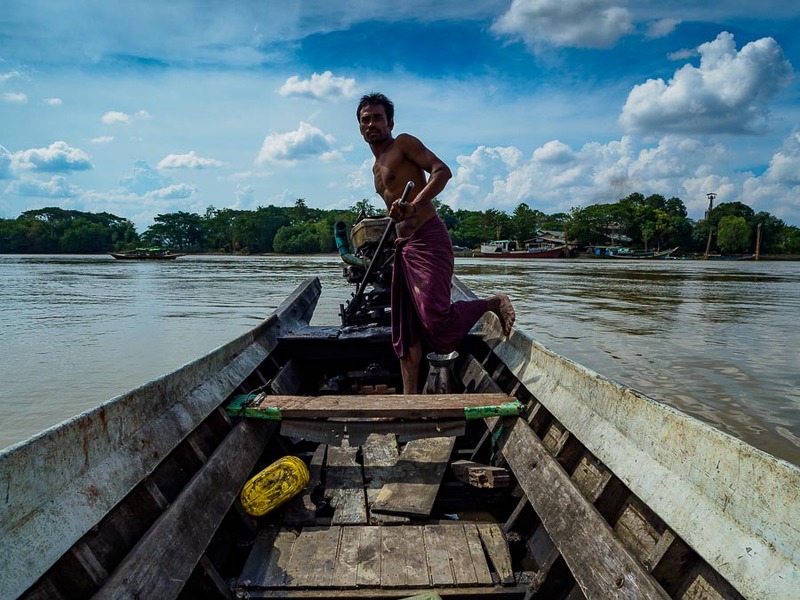 In the meantime, here are some updates from a recent trip to Myanmar. 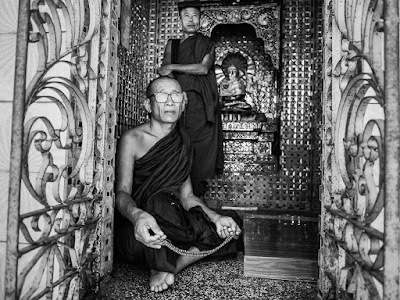 Monks at Botataung Paya (Pagoda) in Yangon. Okay, I know it's now Myanmar, not Burma. But "Back to Myanmar" doesn't have the same ring to it that "Back to Burma" has. I am in Myanmar for a couple of weeks working on the scheduled visit by Pope Francis to Yangon, and after that Bangladesh. I am covering the Yangon portion of his visit for ZUMA Press. I was here a lot 2013-2015, but this is my first since the election of Aung San Suu Kyi in November 2015. Two years to the week since I've been here. 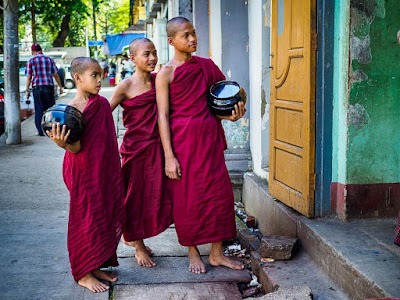 Buddhist novices (boys temporarily studying in a monestary) wait for alms in front of a Yangon business. Myanmar is a remarkably photogenic country that is changing at warp speed. There have been obvious infrastructure improvements in Yangon. Electricity is more reliable. Roads have been improved. Mass transit has been overhauled, and the once decrepit busses have been replaced by new, air conditioned ones imported from China. Malls are sprouting up in Yangon like mushrooms after a rain. It's dizzying. A boatman in the Irawaddy River. A lot of things haven't changed. There's still crushing poverty. A trip to the Yangon docks reveals that most things are still done by manual labor. Although the malls are popular with foreign tourists and wealthy Burmese, I couldn't help but wonder about the people displaced to create the foreigner enclaves and whether or not Myanmar's income disparity is too great to support Bangkok style malls. Most of what I'm doing here is related to the Pope's visit, the first Papal visit to this southeast Asian country. Myanmar's Catholic population is tiny, about 450,000 people or 1% of the country identifies as a Catholic. I will be posting updates related to the Papal visit in coming days.